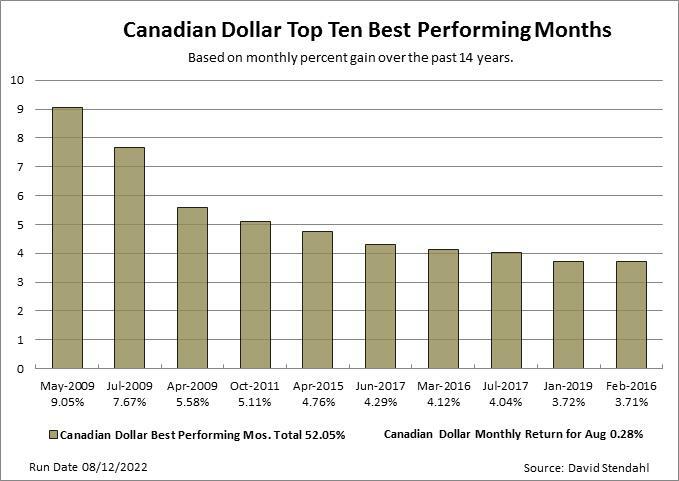 When it comes to monthly performance … what constitutes a big monthly return for the Canadian Dollar? 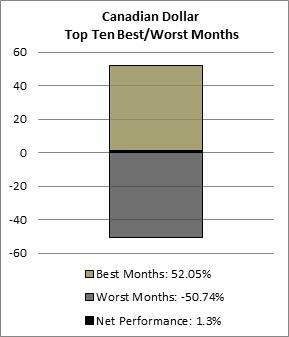 Investors and traders need perspective if they are to handle the month to month moves associated with this market. 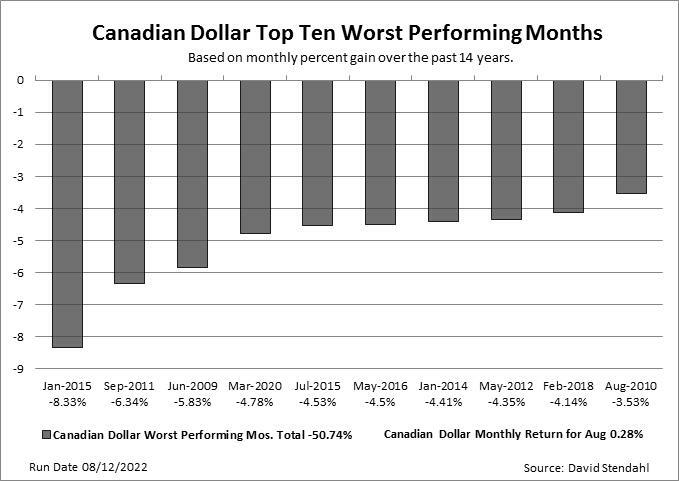 The two charts below review the top ten best and worst months for the Canadian Dollar over the past 14 years. These charts provide a historic framework of large monthly performance, both positive and negative, just in case history decides to repeat itself. Take a look at the best & worst weekly moves for the Canadian Dollar.